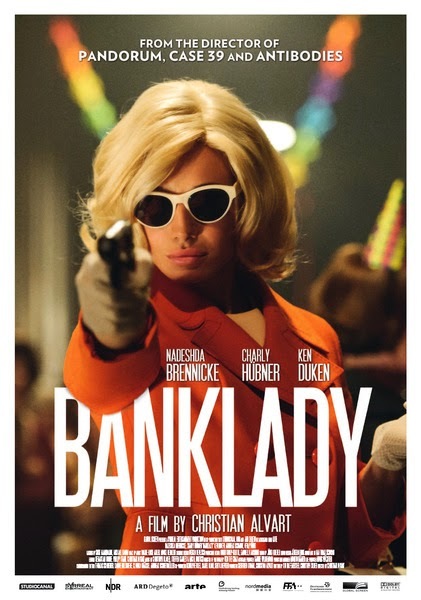 BANKLADY is the true story of Gisela Werler, Germany's first female bank-robber. Working in a print shop by day she lives at home with her parents dreaming of something more. When she meets and falls in love with Hermann her life changes radically since Hermann is a bank robber. I can't really review this film, I'm too in love with it to do anything more than gush over it. This is a film I just want to throw at people and say "You gotta go see this!" Director Christian Alvart has put together a good old fashioned crime drama with style to burn. I'm in awe of the filmmaking never mind the plot.I mean there are a couple of camera moves that blew me away. You want to see genius? Look at how Alvart manipulates the frame with split screens, wipes and other goodies. Very few people are doing this sort of thing with any great success. Yea, they try it but few actually make it work. You wanna know how good this film is? This is the sort of film that Hollywood will buy up then try to copy without the input of the filmmakers, or the sort of a film that gets its director a chance to do a big budget film -only to have the studios muck it up. Yes, I Know Alvart has been to Hollywood (Pandorum) but this film will get him invited back. This film is freaking brilliant. A wonderful mix of crime, biography, romance and 60's kitsch this film. Its the rarest of the rare today a film that has both form and substance. You gotta go see this.